Designed to fit a small hand. Great for ladies. High carbon heat, hard chrome plated blades with a Teflon coated top blade to reduce gumming. 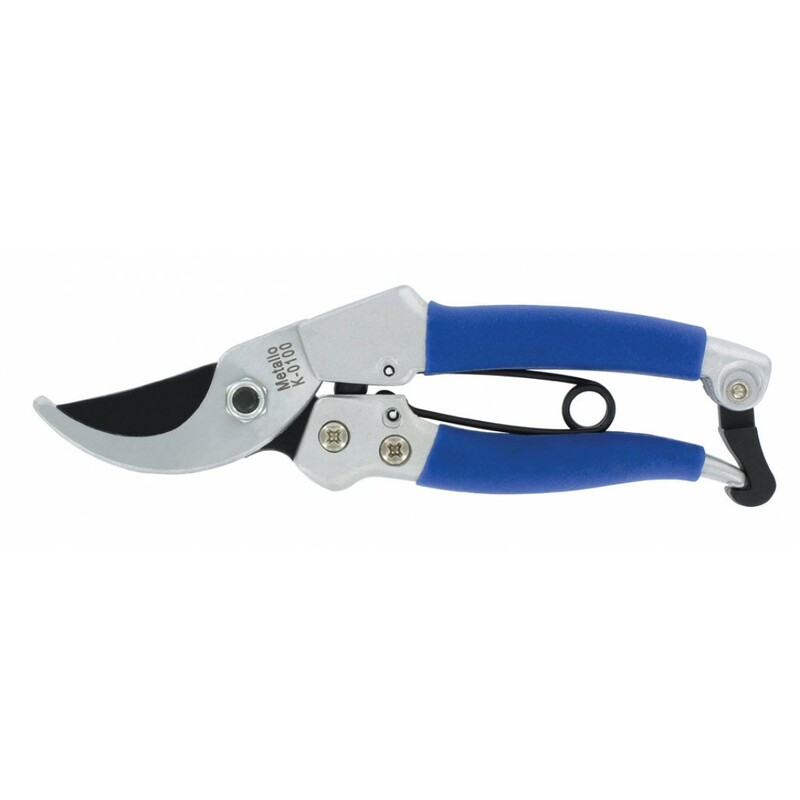 Lightweight, durable aluminum handles with a flip over end lock design. Cuts material up to ~¾” (20mm) diameter. The upper blade is replaceable.